Cairo - Egypt will hold talks with leaders of two major Palestinian factions to try to salvage faltering unity efforts and to restore calm with Israel, officials said on Sunday. The head of the Islamist militant group Hamas, which runs the Gaza Strip, led a delegation to meet with Egyptian security officials in Cairo. The leader of a smaller Gaza-based faction, Islamic Jihad, also headed to Cairo, Palestinian officials said. Hamas has been in a bitter rivalry with Palestinian President Mahmoud Abbas, who is based in the occupied West Bank, for more than a decade. Numerous reconciliation efforts have failed. Egypt is also trying to prevent an escalation in violence between Hamas and Israel, after months of tension along the Israel-Gaza border. Cairo sent officials to Gaza in recent weeks to keep an eye on the situation. “Cairo is driven by its interest to avoid a new war in Gaza and in improving the living conditions of Gaza residents,” said one Palestinian official, who asked not to be named. 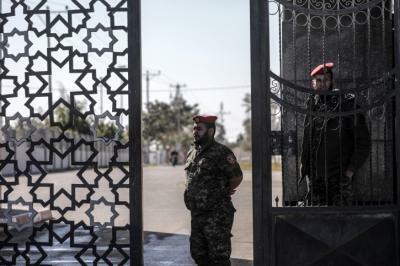 Relations between Hamas and Abbas’ Palestinian Authority (PA) worsened last month when Abbas ordered his men to leave their posts at the Rafah border crossing with Egypt, the main corridor for Gazans. This prompted Cairo, which had in the past year coordinated operations with the PA, to close the crossing. Gaza officials now say that Egypt has quietly resumed operations at the Rafah crossing over the past week, this time working with Hamas. However, there was no immediate comment on the reopening of Rafah from Egyptian officials.